I wanted to surprise my daughter with Disney on Ice tickets for her birthday. Time was running out and I just wanted to do something special for her. One of the moms at her school recommended your website and you guys saved my life! Even though I placed the order a day before the show, much to my relief I got the tickets right on time. I must say that you guys are highly professional. Thank you for making my daughter’s day so special! Ever since I heard James Taylor’s ‘You’ve got a Friend’, I wanted to attend one of his concerts. But due to sheer bad luck and a busy schedule, it just wasn’t happening. When I saw that you guys still had the best seats available, I immediately grabbed them to impress my girlfriend. The good seats made all the difference and the music was classic James Taylor, making it an unforgettable night. The worst that can happen to a Ariana Grande fan is that she is performing in your city and you can’t find the tickets from anywhere. By sheer luck I found out that your site still had some left. Your representatives were extremely accommodating and cooperative, which made the entire process extremely easy. Keep up the good work guys. You make many people happy every day. Being a frequent concertgoer and a student, I always went through so much trouble trying to score tickets at reasonable prices and sometimes (I admit) got ripped off by scalpers. I asked practically everybody I knew for help, but prices were always too high. But you guys really helped me out in the end. With your amazing promotional codes, I got my tickets within my measly student budget. You guys are definitely life savers. Here’s a shout out from UCLA. Thanks Guys! I don’t usually write this, but I thought I should definitely tell you guys how much I appreciated getting my Zac Brown Band tickets from you. A lifelong skeptic of anything remotely associated with credit cards and the internet, your service was exceptional and made me a believer. Thank you so much. Great job guys! 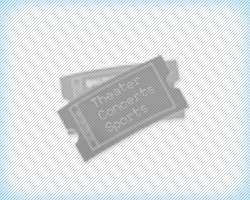 A full-service national event ticket marketplace. Ticket Social Ltd. All rights reserved.